You might have Microsoft but they wouldn't be anywhere without good old British ingenuity, We got Babbage and the colossus for you. perhaps we got the idea somewhere. Last edited by MeJasonT; 11-10-2018 at 01:37 PM. Scientists and engineers may benefit from a long-⁠abandoned approach to computing - yep get rid of narcissistic nerds. Cogs and gears that's what i'm talking about - All you need in a power cut is a small child and an exercise bike, that's resilience for you. Last edited by MeJasonT; 11-10-2018 at 01:52 PM. 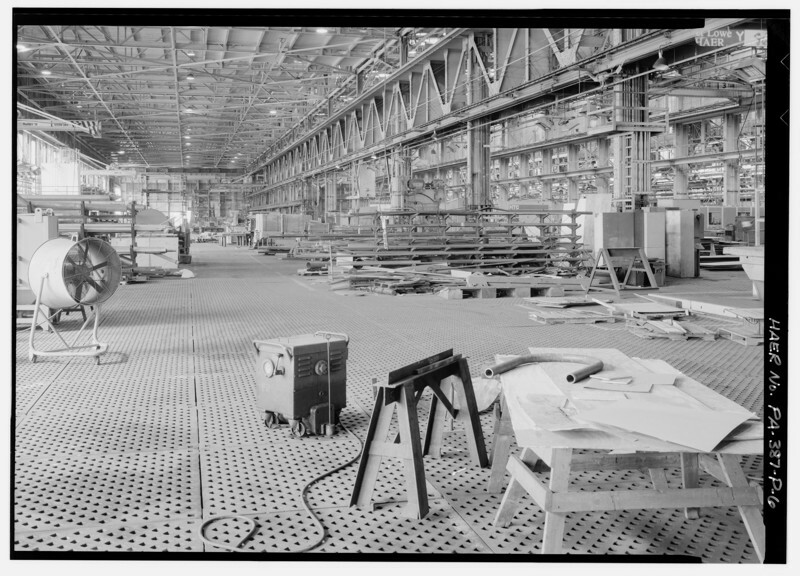 Construction of the wind tunnel at the Ames Research Center. July, 1943. Photo may have been taken on a day off work, I could only find one workman, far left on the ground level, and an older [for 1943 photo] pickup truck also on ground level. The quality of the photo is rather clear since, if you click on the "Full size image" link and then click on the image itself, it will bring up a closeup image which really shows details rather clearly. There is a crane hook hanging just off the ground near the center and about 2/3 of the way down which you cannot see in the original photo but is shown clearly in the extreme closeup. 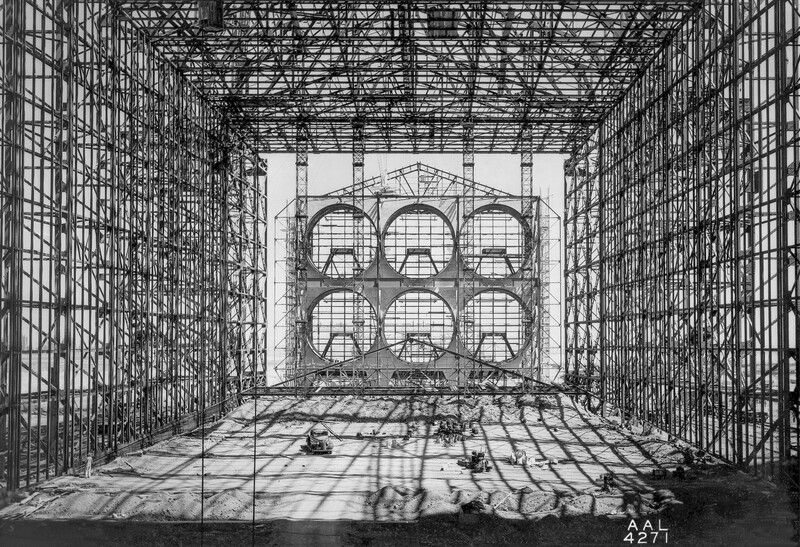 Amazing technology for a girder construction of such massive dimensions and built during the wartime era. I’m on my cell and the amount of detail is impressive. I’m guessing a professional photographer. A really good example of a clear safe work area with non of that health and safety rubbish to fall over and get tangled up in. When they ban plastic are we going to get back to good old manufacturing and assembly. Not that that applies here. when you look at old PCs like IBM and ICL machines, built of metal and built to last, then the advent of the personal computer where we saw the first Apple, Commodore and Amstrad which were these space like futuristic plastic things. Its surprising how quick technology can change - in January we had Plastic shanked ear buds and by July the plastic had gone. Shame the shops didn't offer an alternative here in the UK with carrier bags, its plastic bag + a 5p tax or nothing. I miss old stuff, at least it was fixable. I wonder how many motorway bridges will outlive Brunels bridges. Last edited by MeJasonT; 11-14-2018 at 04:20 AM. Weldment assembly floor. Philadelphia Naval Base. From the Library of Congress. Those appear identical to 'Acorn' weld platens. That size run about $3-4,000, USED. No less than 60 are in view, ~$100,000, but a mere fraction of those installed. I've chased them before; to no avail :-(. No luckier snagging a pair of floor plates instead. 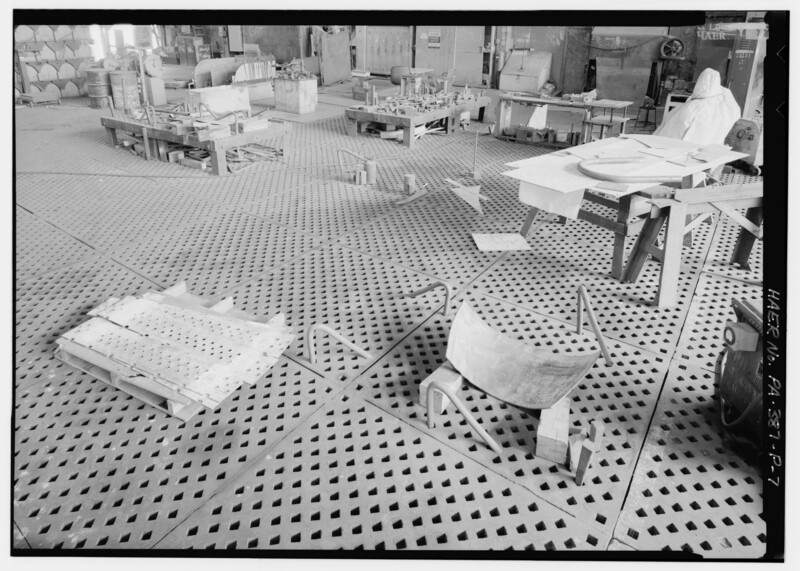 Floor plates, essentially are large machine tables; tee-slotted, some are drilled/ tapped, some have both.